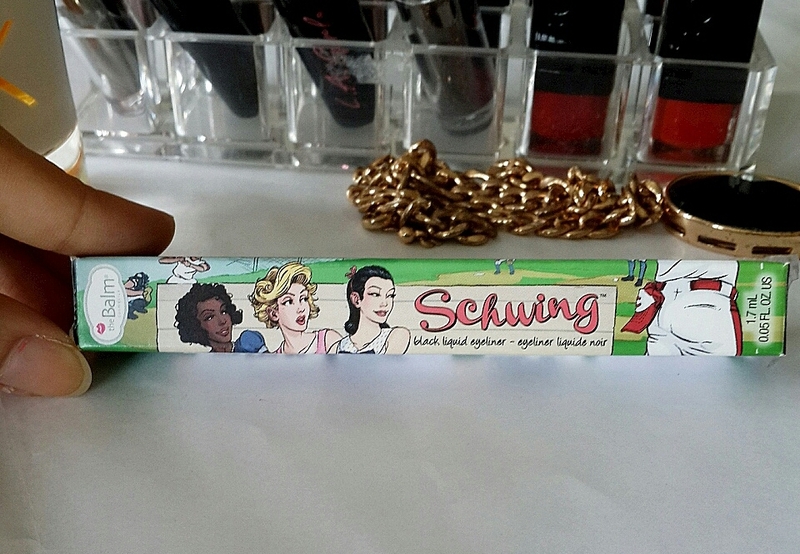 So I am here with one more product from THE BALM COSMETICS its a SCHWING LINER. This is a short quick review about the product. 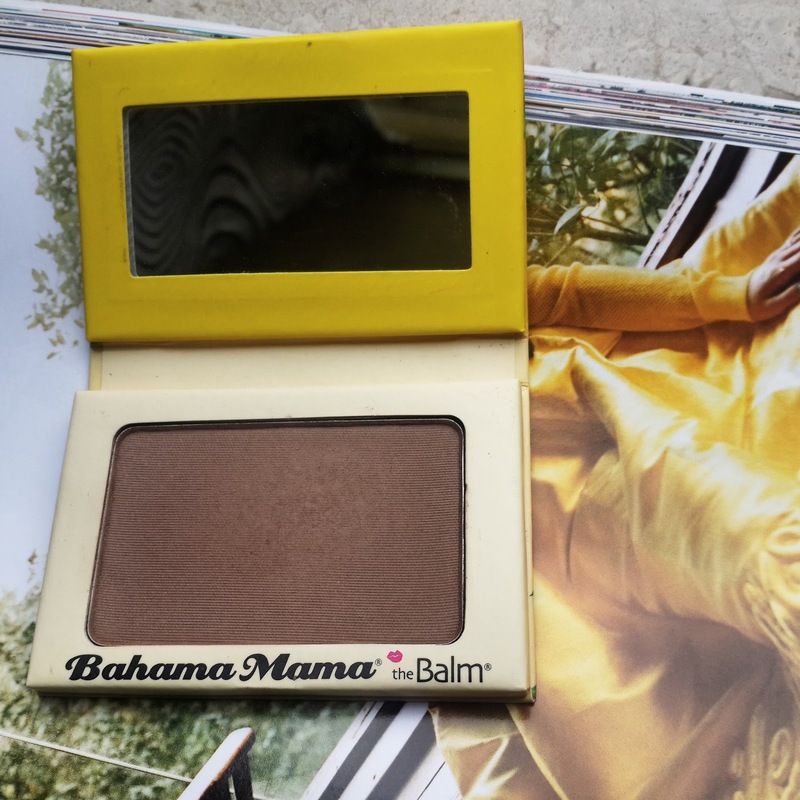 I am recently obsessed with balm cosmetics packaging they are so colourful and different don’t you girls think so? I had heard many good things about this liner so thought getting one for myself. I generally love using black liquid liners than black kohls. I usually use felt tip pen as they give better control over application. I really wanted a Matte black liquid liner as they work well with eyeshadows and look better than glossy ones. Schwing is a dark intense black liquid eyeliner which turns out matte after application. 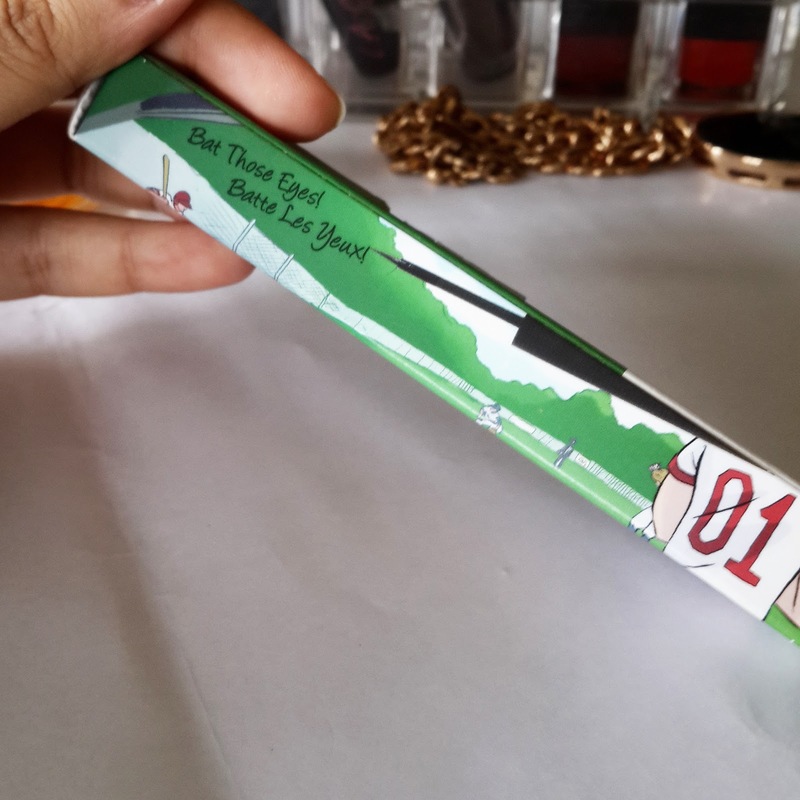 It comes with usual tube packaging having a small container and long applicator. Well the applicator is very flexible and precise. Still it does make difficult for me to create a wing liner. As this is in tube form I have little bad control over such liners. If you are a starter I would suggest to stick with felt tip pens instead of this or try using pencil first to create line and then use this over it this way it will make liner more long lasting too. 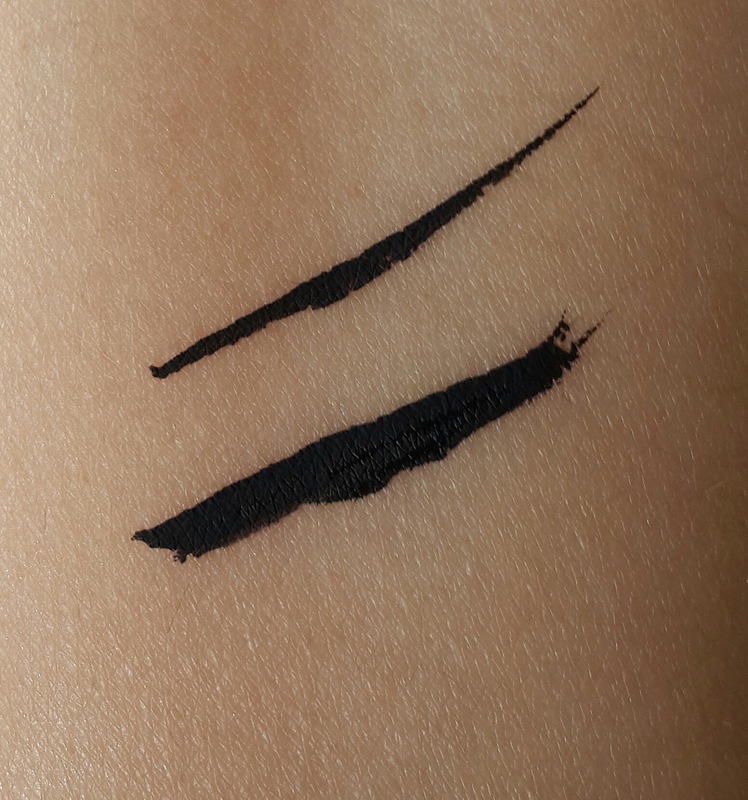 This liners are not complete matte but they also don’t give a sheen like other liners do. I prefer Matte liners over Glossy ones. 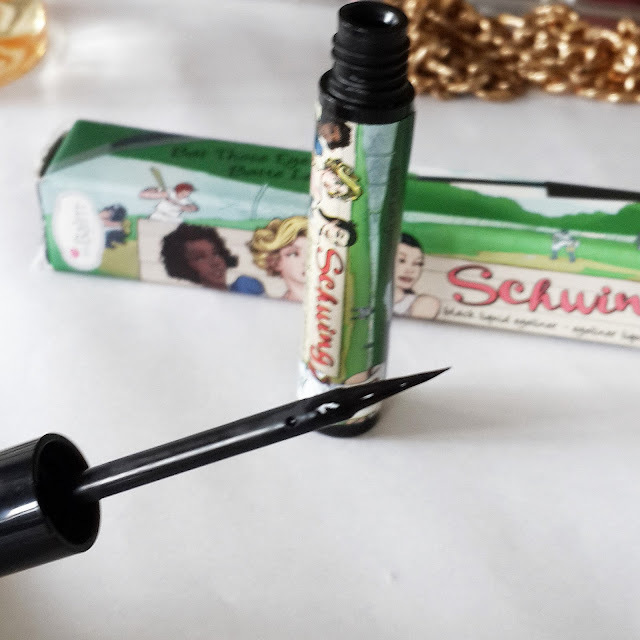 Schwing liner gives precise application and just one stroke is good enough but you can layer it of to give maximum opacity. 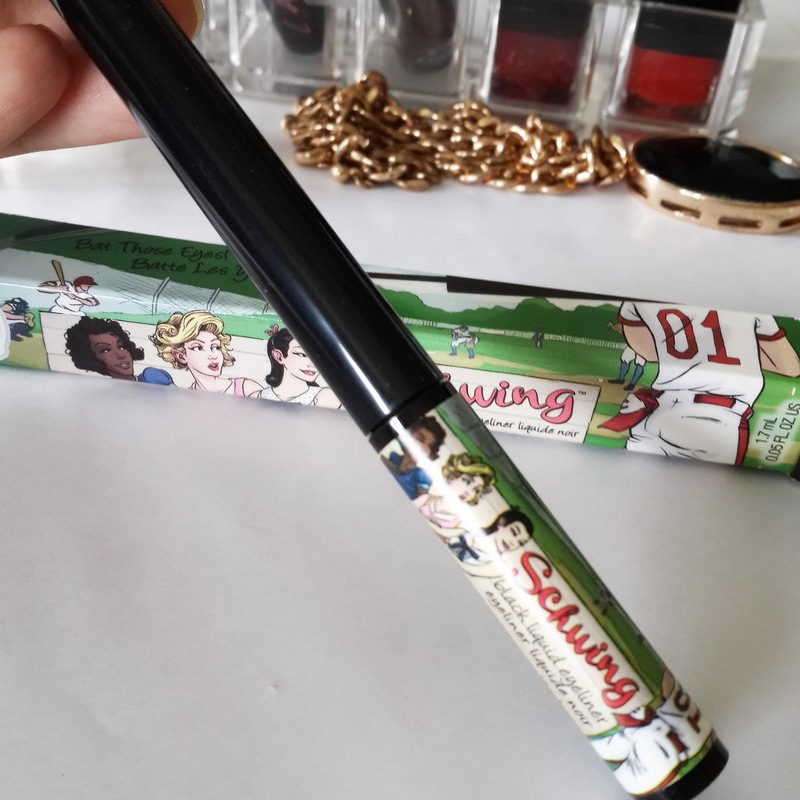 Its a gorgeous jet black super pigmented MATTE liner giving even application. This liner is not runny or watery though its not a waterproof still it stays on for 7 hrs without flaking or feathering. If it comes in contact with water it starts fading. This liner is not intense when applied on eyeshadow you need to put layers of it to give opacity. When you put layers of this liner it does take few seconds to dry. If you have watery eyes i wouldn't recommend this liner as it can easily smudge. It easily comes of with makeup remover. Overall i am bit disappointed with the formula I wouldn't be buying this liner again. I would rather go for gel liners or liner in pen form which are more kind of waterproof. I am back from my trip and totally back with my blogging too. 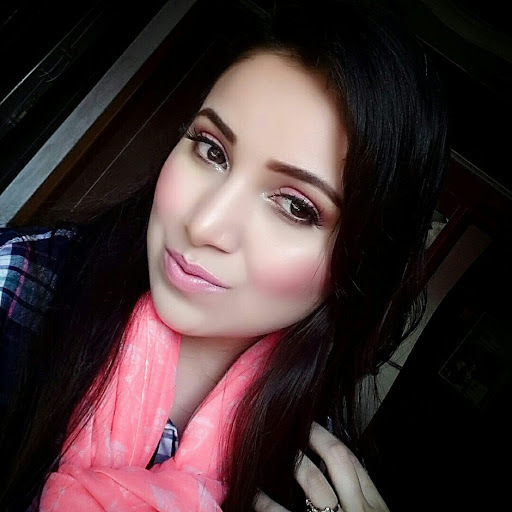 I so missed writing about makeup stuff. I just got some new makeup products to write about so excited for it. 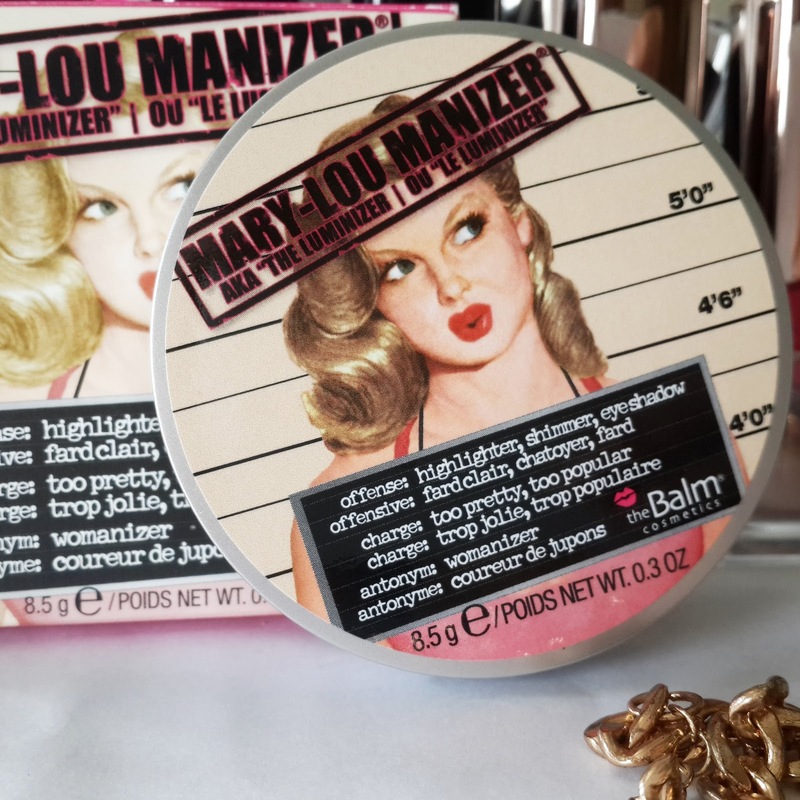 Lets begin with the very first product that took my heart away I am talking about MARY LOU MANIZER from The BALM cosmetics Ohh!! my god finally I got my hands on this beautiful highlighter. I was wanting it for so long but whenever i checked online it was always out of stock. 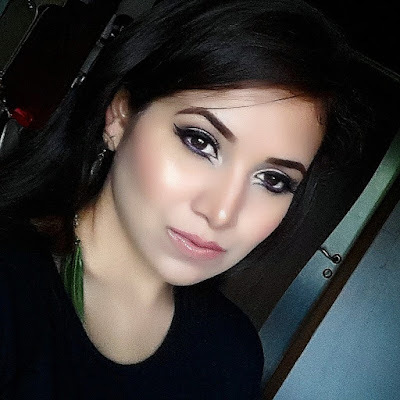 This is a highlighter which is totally in demand and its favourite highlighter of almost all makeup gurus. Girls if you are not using highlighter this one you need to because its totally gonna change your look. Personally i feel highlighters are one of the most important makeup product especially when you want to take pictures. 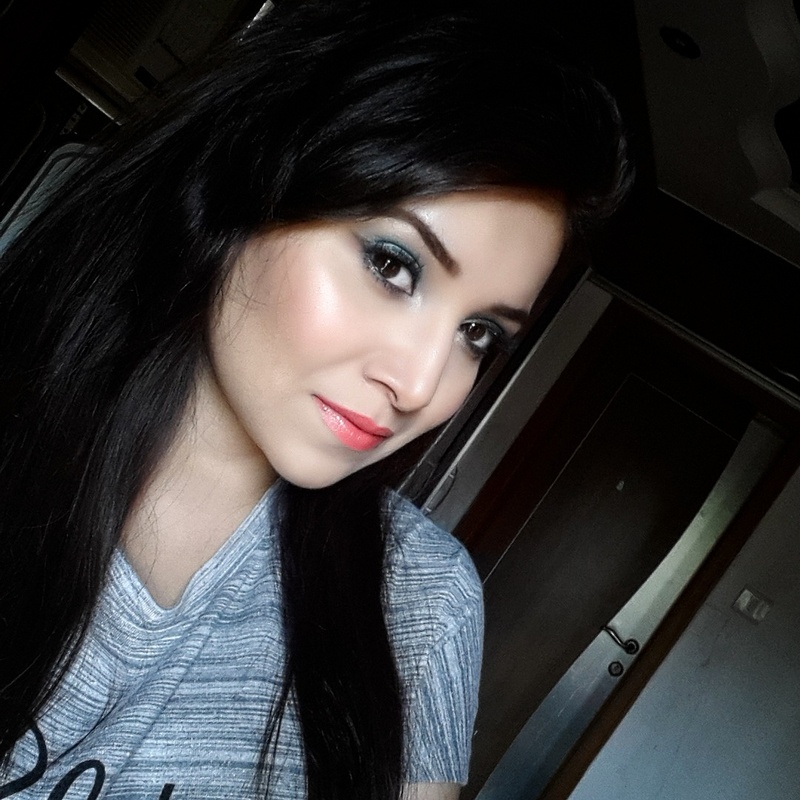 This particular highlighter makes your dull skin glow beautifully you just need to use a fan brush and apply lightly on highlighted areas of face. 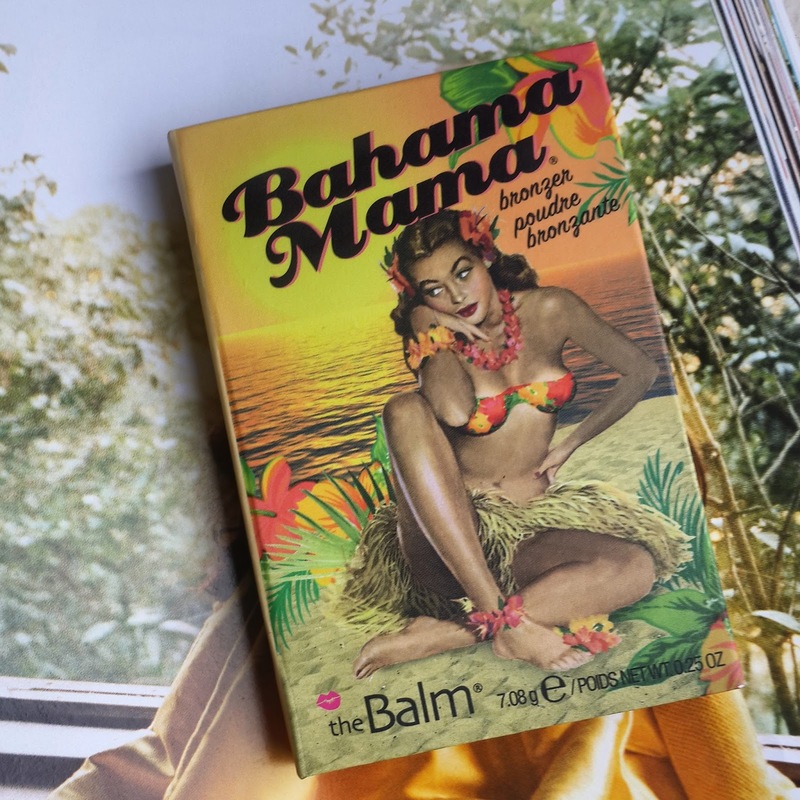 I really love the balm cosmetics packaging its different from usual having a cartoon type of pictures in it making it look so funky. They name their products also so differently. 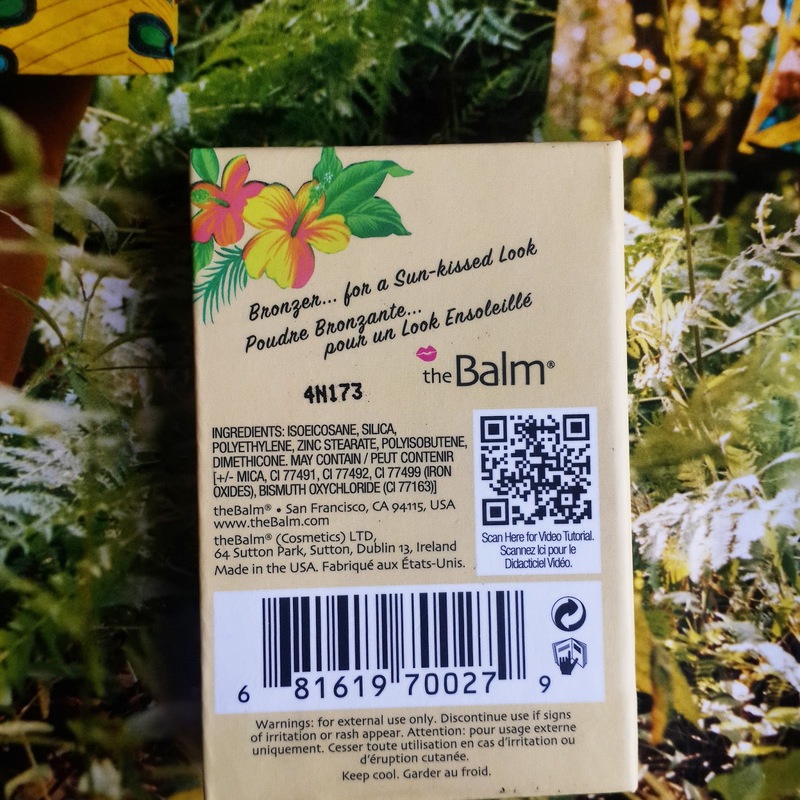 I have got quite few products from the balm so will be reviewing in next post. Ok this highlighter comes in round shaped compact having large mirror on one side which makes it easy for touch ups while travelling. 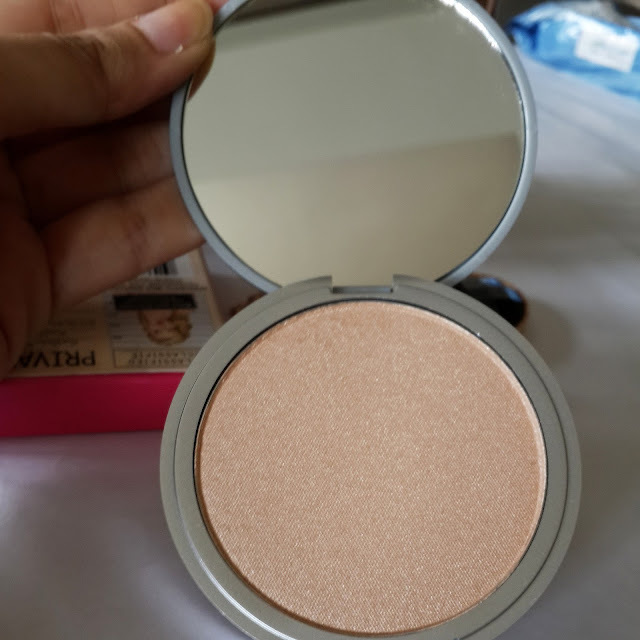 Almost everyone is talking about this highlighter which made me more curious to get this product. And now I know all the reasons why I should be loving this highlighter. 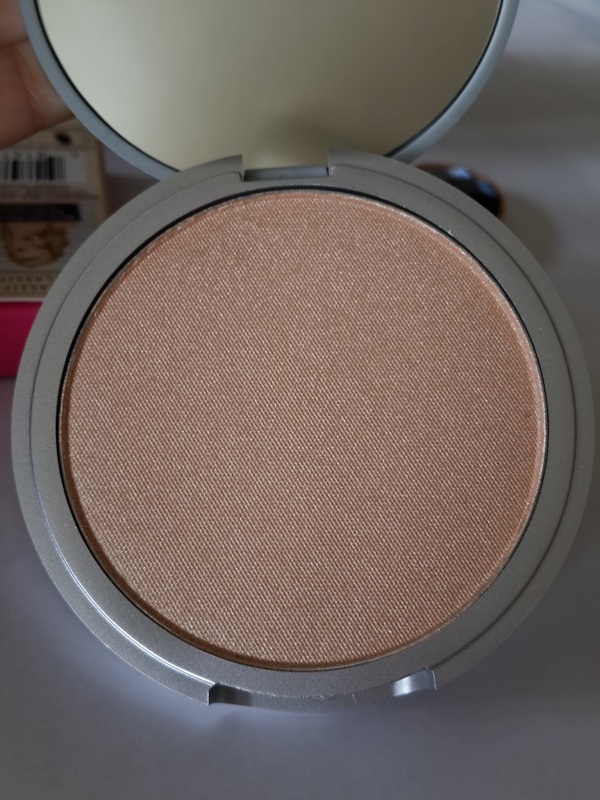 It’s a beautiful gold champagne color highlighter having silky soft texture. This powder blends into the skin like butter. 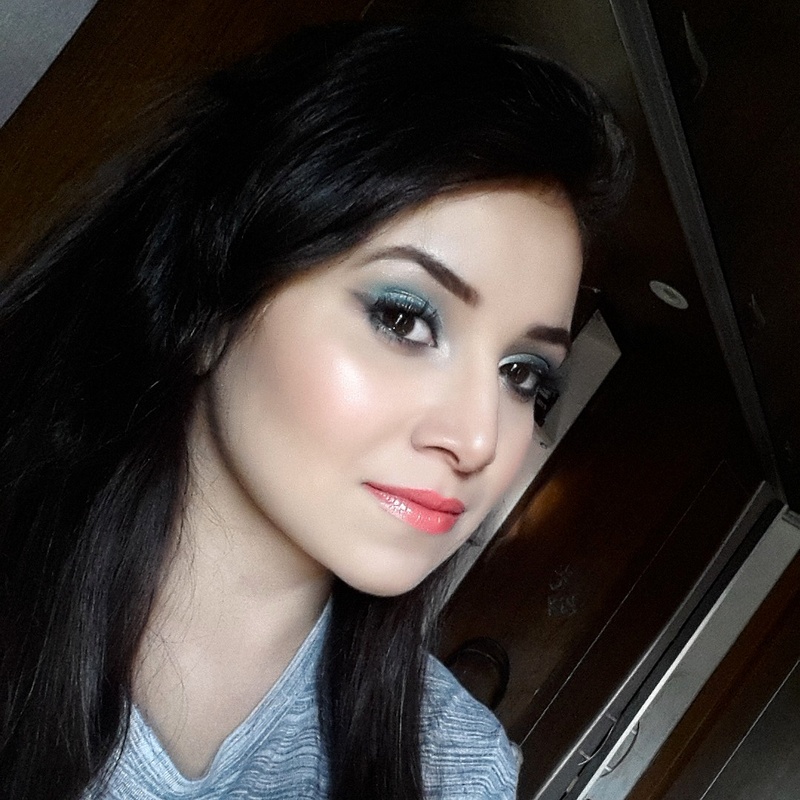 You just need little amount and that will transform your dull looking skin into glowing radiant skin. 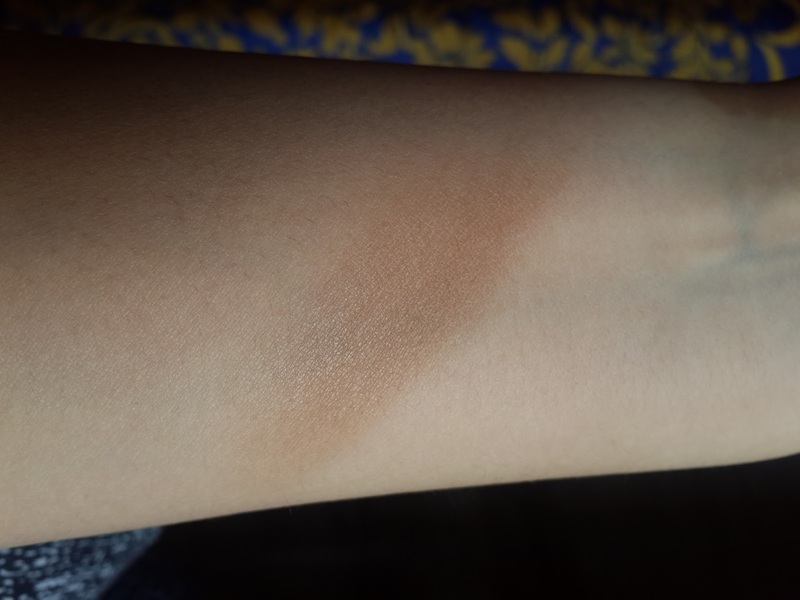 The pigmentation is intense and make sure you don’t get it over done. 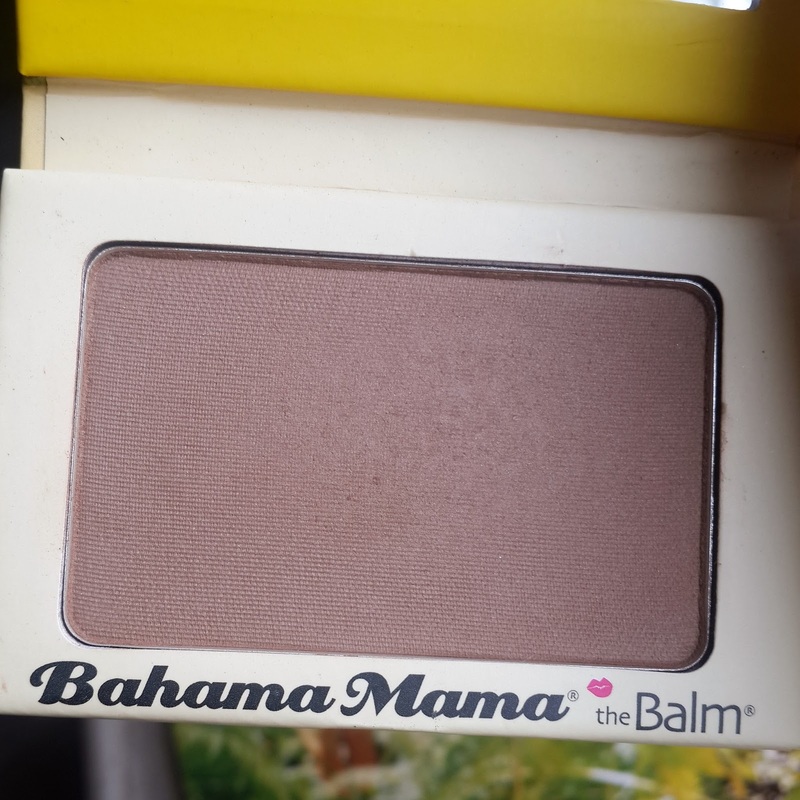 This can be used on your cheekbones inner corner of eyes and on brow bone you can even use it as a eyeshadow. You can always build this powder but i avoid doing it because sometimes it can look more shimmery especially during day time. This particular highlighter has got really fine milled shimmer particles which does not fall out. After my love for Mac Whisper of Guilt this one is going to be one of my favorite. 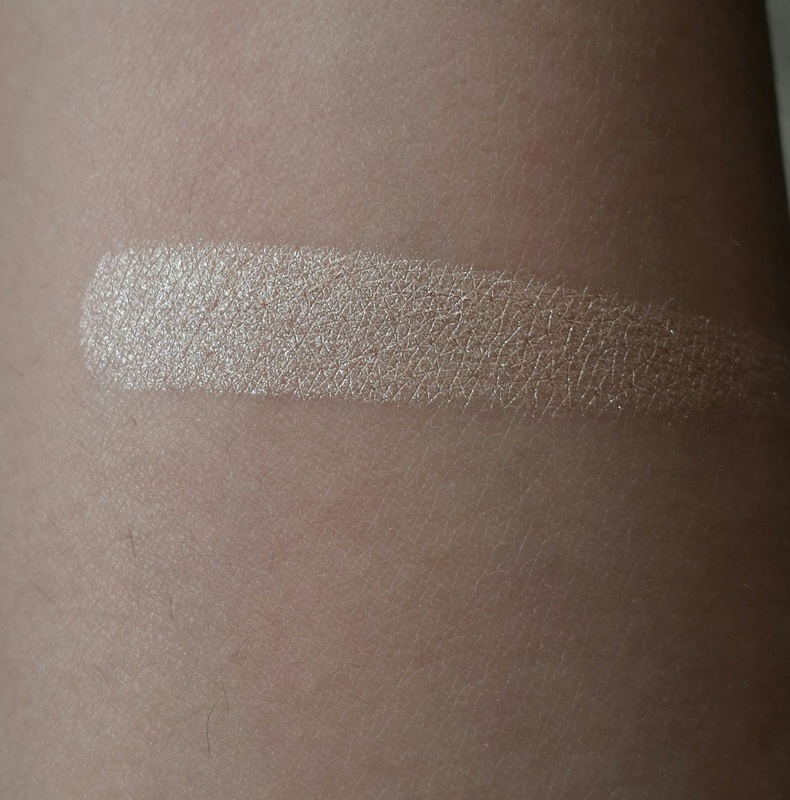 This highlighter will go on almost all skin tones as its neutral toned. It also lasts for almost whole day and gives you gorgeous glow. 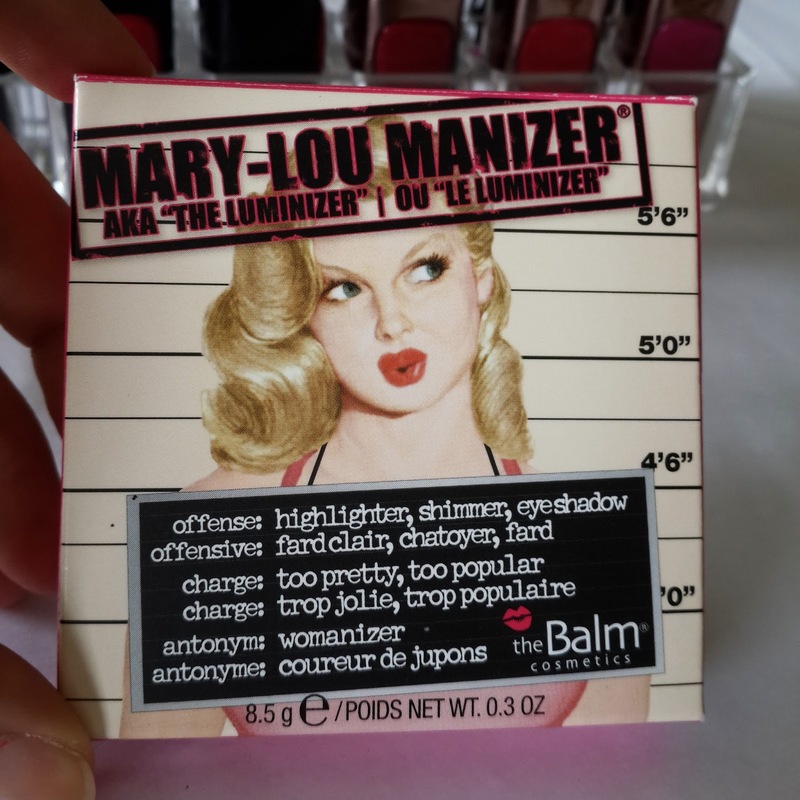 Highly recommended if you are looking for one good highlighter this one should be your buy. It’s a versatile product having no cons and you get great amount of product for such price. Which one is your favourite highlighter? Comment below.